​Atletico Madrid manager Diego Simeone labelled his side’s match as a ‘classic cup game’, as Girona knocked them out of the Copa del Rey on Wednesday. Los Colchineros drew 3-3 at the Wanda Metropolitano, as they played in the second leg of the round of 16. Their goals came from Nikola Kalinic, Angel Correa and Antoine Griezmann, whose 84th minute finish seemed to be the winner. However it wasn’t enough for Atletico, as Seydou Doumbia’s 88th minute equaliser sent them crashing out of the competition, as Girona made it 4-4 on aggregate and triumphed on away goals. ​Atletico Madrid were looking to win the Copa del Rey for the first time in six years, but their wait goes on after Wednesday’s result. Girona now advance to the quarter-finals, which is the furthest they have ever gone in their history. Atletico were largely dominant throughout the 90 minutes, having more possession than their visitors and having almost four times the amount of shots. However it wasn’t enough, as Los Colchoneros fell agonisingly short. Despite the defeat, Simeone was adamant that his side put in a strong performance. He added: “Sometimes you play well and do not advance [to the next round]; I prefer to play badly and always go through. 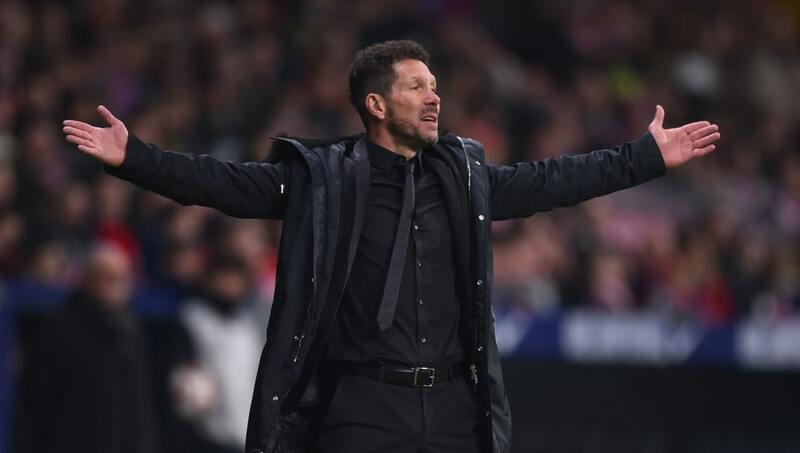 Now that Simeone’s side are out of the Copa del Rey, it gives them one less competition to worry about as they approach a crucial part of the season. Atletico’s main focus remains ​La Liga, where they sit in second place, five points behind leaders ​Barcelona. They also face a two-legged tie in the Champions League round of 16, where they face Italian champions ​Juventus.